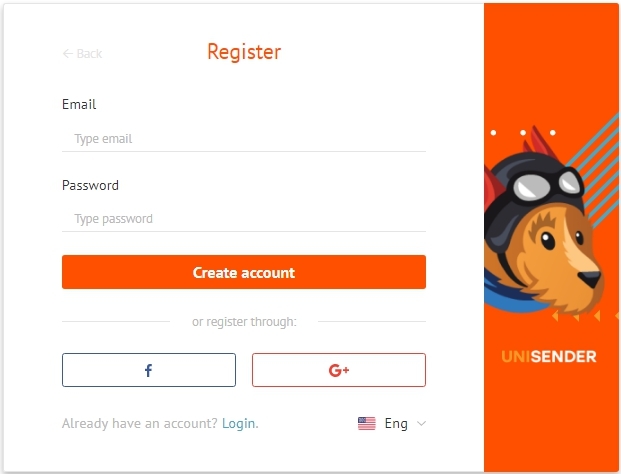 Create a password for your personal account. Also, registration through Facebook and Google is available. 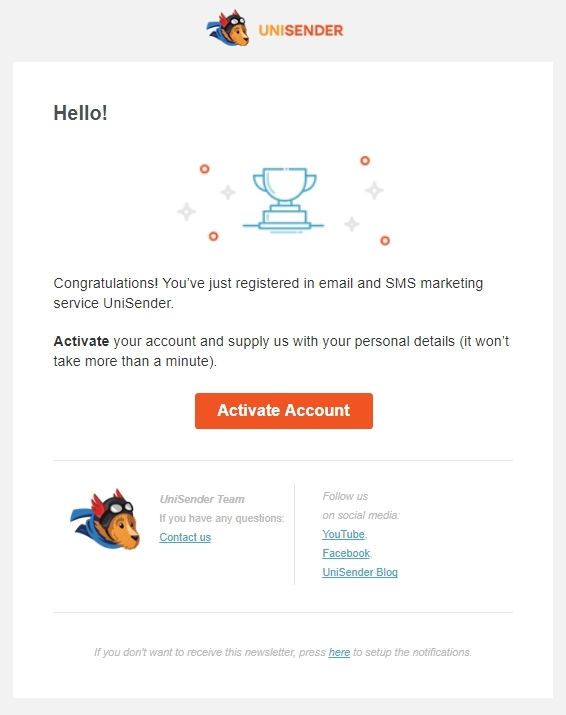 The email that you left on the registration page will receive a confirmation letter. 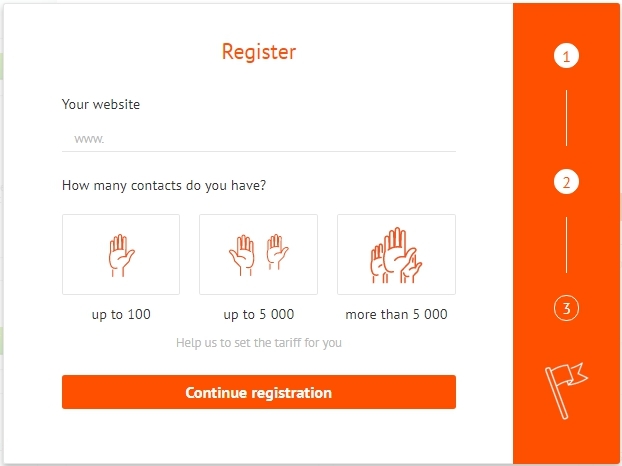 Click the «Check mailbox» button to continue the registration. 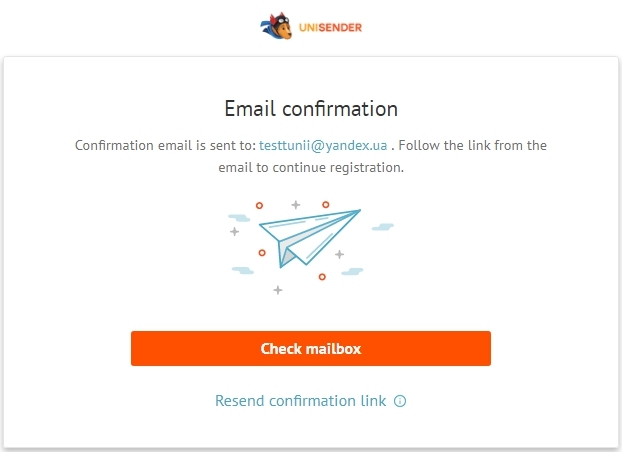 If you didn’t receive an email, click «Resend confirmation link». And check your mail again. Did not receive any letter? Write to us in the chat (in the lower right corner). To activate the account – click on the button «Activate account». The login will be added automatically. Provide a link to your site and the size of the contact base. 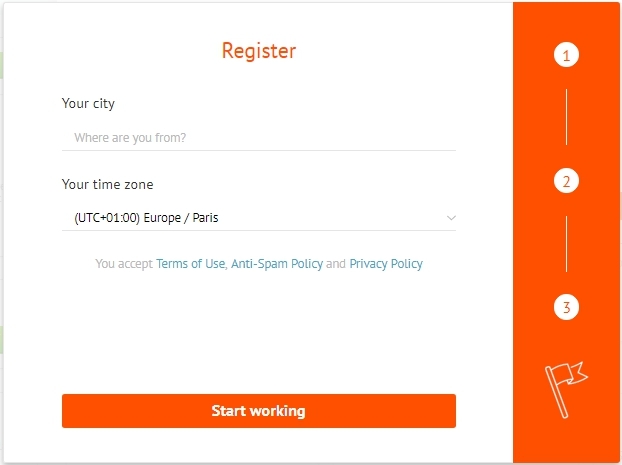 The fields «Your city» and «Your time zone» will be filled automatically. If you desire, you can change them yourself. Registration is complete. 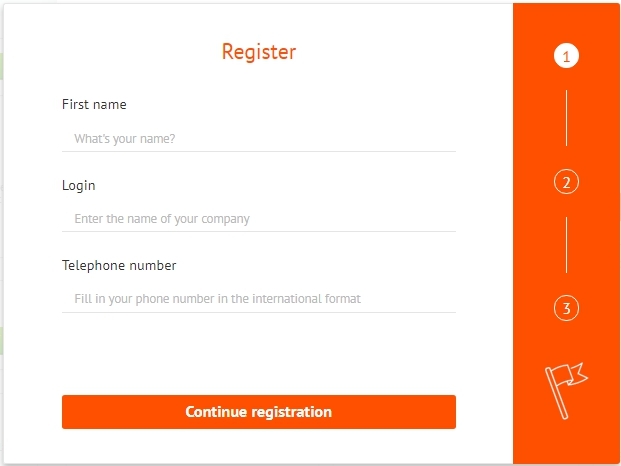 Now you can download your contact base.